The year is 1924 and two adventurers named Mark and Lisa are in Cairo looking for the jewel of Cleopatra. They don’t know where to look or even start. Mark Turone and Lisa Turone have been walking for seven and have found nothing. They need to find this jewel before the masterful Francesco Paolo does and controls Europe. They have a map that will tell them how far they are. Their destination is Elmina Egypt. They have to stop and rest somewhere. 2 years have passed. They’re still in the desert today. Mary and Lisa are looking for a Bedouin tribe. So far all they have seen is sand. All of a sudden Lisa says, look look over there i see a tent, let’s go and look. So they walk over and people are roasting a lamb. They ask them if they could sit down. Mr Abdullah said, yes you may. Lisa proceeds to tell them that they are looking for Cleopatra’s emerald. He said no you musn’t look Sir, it’s too dangerous. Lisa asked why? He said the emerald has evil powers beyond your control, enough to steal your soul. So they said we’re going anyway. Abdullah asked them if they wanted supper and they said yes. The night time fell and soon the bedouins went to bed. Next morning the couple parted on camel and went to find Elmina. They went 6 miles and finally arrived to Elmina. They stopped for a drink so they stumbled into a bar. They went in and asked for wine. They stayed half an hour and drank and left. 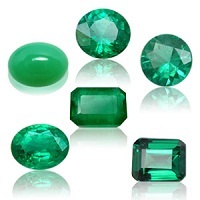 They kept walking until they found a jewelery store so they walked in and asked to speak to the manager about the emerald. Finally a fat slob named Nabil waddled out. How can I help you? They said we’re looking for the emerald of Cleopatra. He said how much are you willing to pay for it? They said 1,000,000 dollars. He said sold. They gave him the money and left. They got on their camels and rode back to Cairo. They got back to Cairo where they spent the night in their mansion Laviella. Before bed he locked his prized jewel in a safe on the side of his bed. They lived happy ever after.